University of Houston TDECU Football Stadium – Fish Construction, Inc. 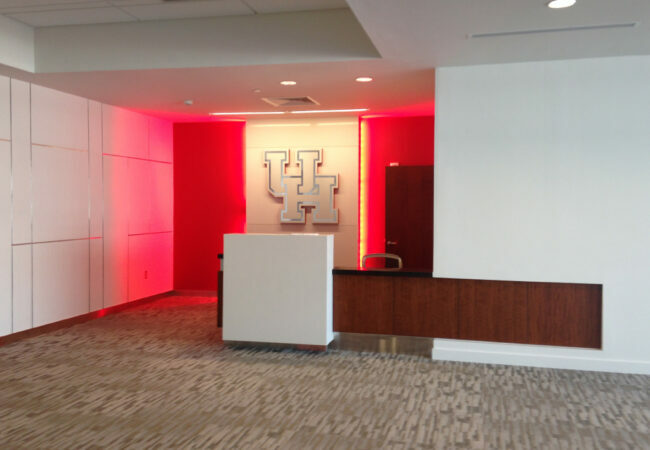 The University of Houston has a brand new football stadium with a seating capacity of over 40,000 overlooking the skyline of Houston. 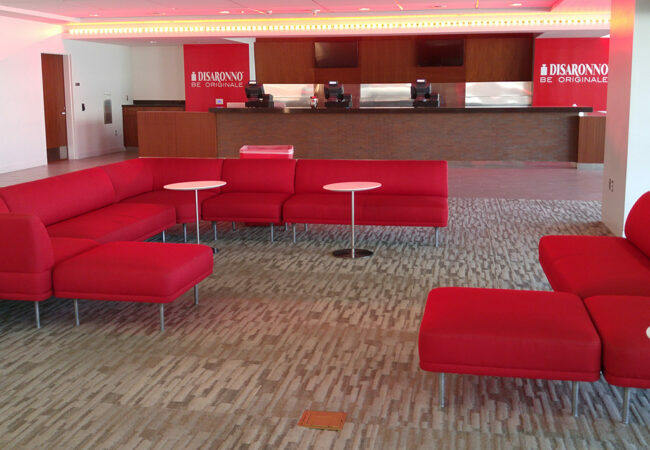 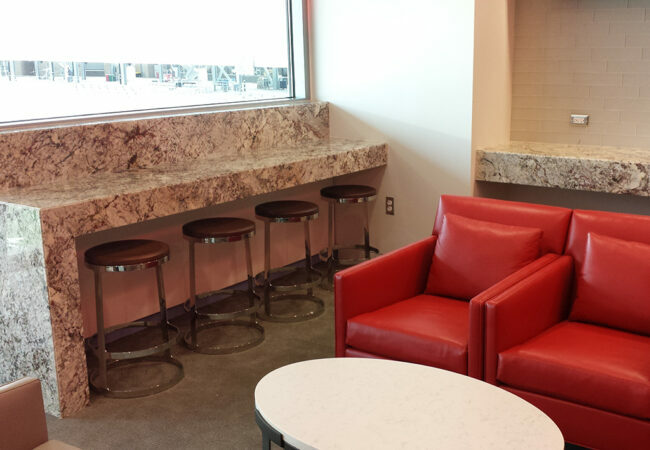 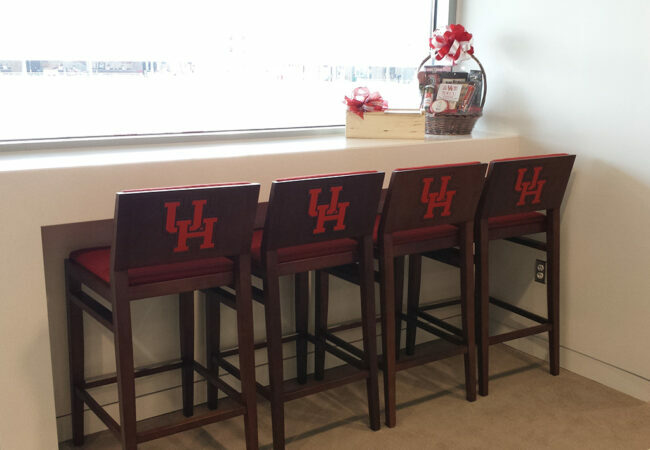 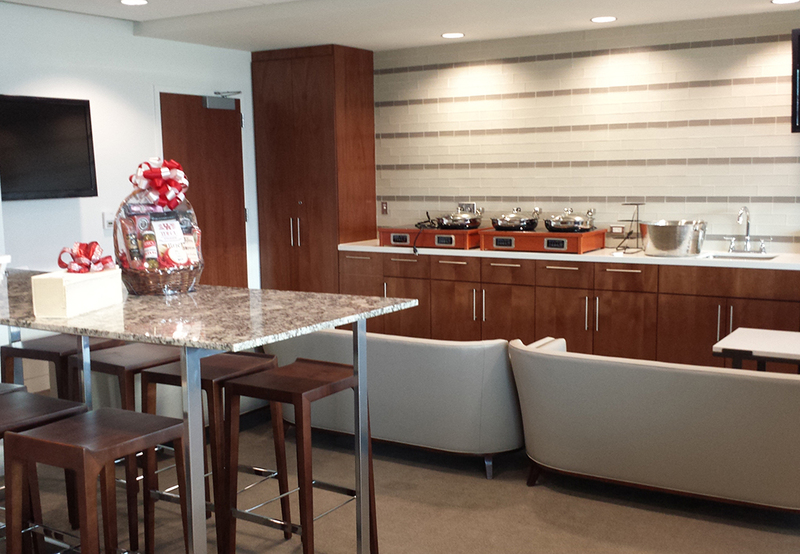 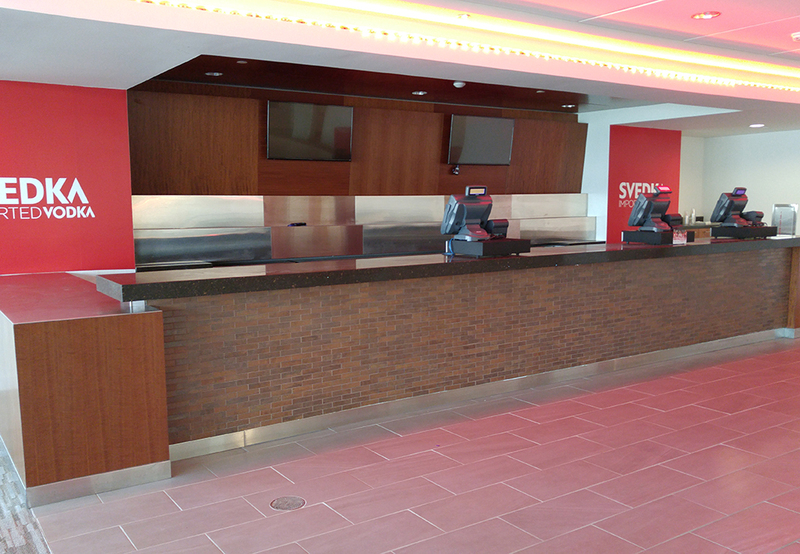 FCI supplied major areas of the stadium with interior millwork including the UH President’s Suite, VIP suites, outdoor loge millwork, locker rooms and training facility areas, ticket sales millwork, reception desks, and multiple F&B areas. 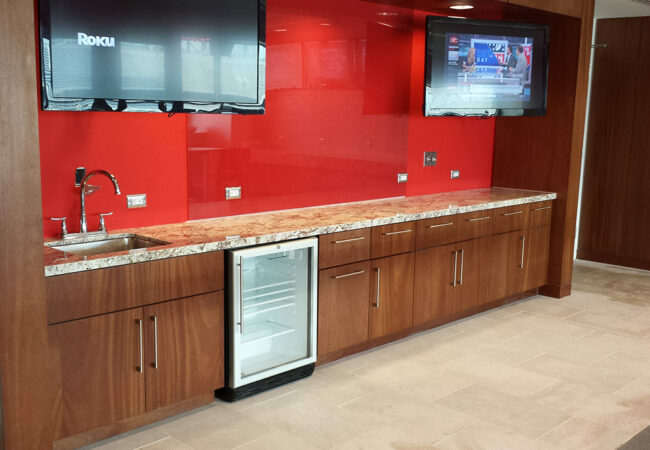 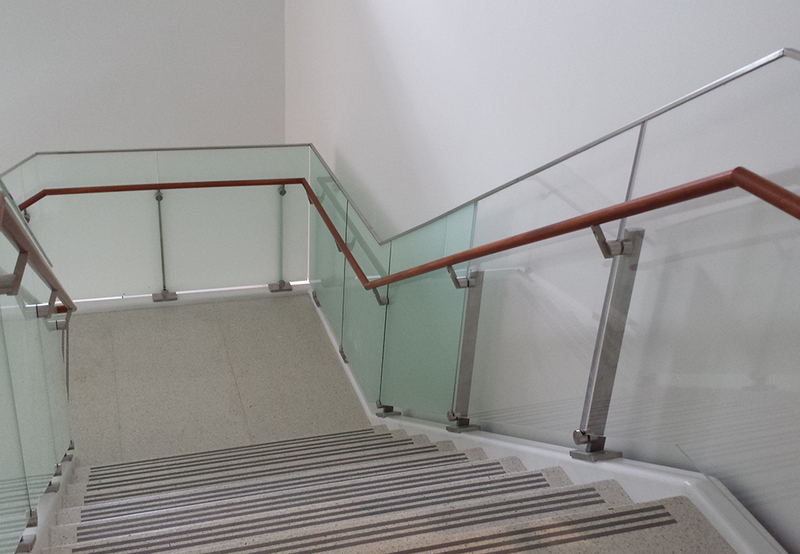 Materials used included stone, veneers, custom stainless work, and laminates.